DL – 6 page : This is a rectangular invitation. It is normally used for Day and Evening wedding invitations and can accommodate lots of information about your wedding. 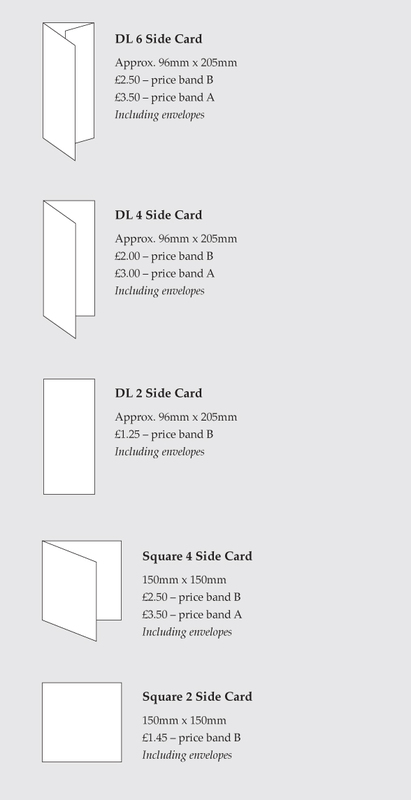 Square – 4 page : This is a traditional gate fold card, and can be used for either the day or evening invitations. It can also accommodate lots of information about your wedding. DL – 4 Page : This format is a traditional four page wedding invitation and can be used as a day or evening wedding invitation, it has less space than the above formats. Single leaf : These are two sided wedding invitations, available as Square or DL cards and tend to be used mainly for evening guests wedding invitations.